Burts from Super Mario World 2: Yoshi's Island. 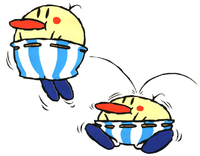 Burts, also known as Burt Brothers (alternatively Burt Bros.), are round, peach-colored enemies with large red noses and blue and white striped pants that go up above their hands. They appear in Super Mario World 2: Yoshi's Island, Yoshi's Island: Super Mario Advance 3, Yoshi's Island DS, Yoshi's Woolly World and Yoshi's Crafted World. Burts attack in pairs. After jumping on its partner, a Burt will get a big boost, and the same goes for a Yoshi if it jumps on a Burt. If one was defeated, the other would jump non-stop. Notable Burts include Burt the Bashful, the Big Burt Bros., and Burt the Ball. If defeated, they will give two stars or three coins. They can be disposed with an egg or a ground pound; however, they cannot be eaten. Burt the Bashful and the Big Burt Bros. were originally normal-sized Burts but were made bigger by Kamek. Spanish Inflón Inflón comes from inflar (inflate). It means "big inflate". French Bélixo Anagram of Obélix, whom the Burts resemble. German Xilebo Backwards spelling of Obelix. Italian Goffry Goffry may comes from goffo (clumsy). ↑ Williams, Drew. 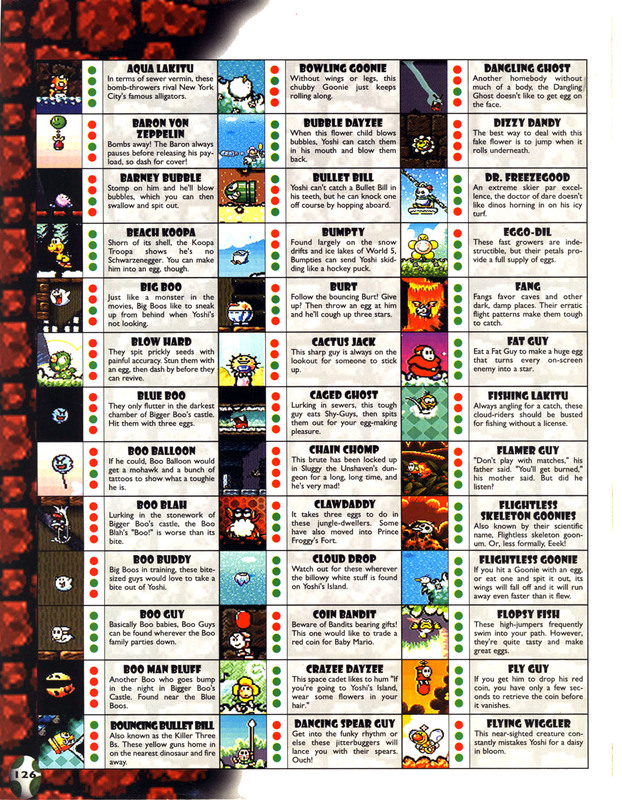 The Yoshi's Island DS Player's Guide. Page 20. ↑ Black, Fletcher. 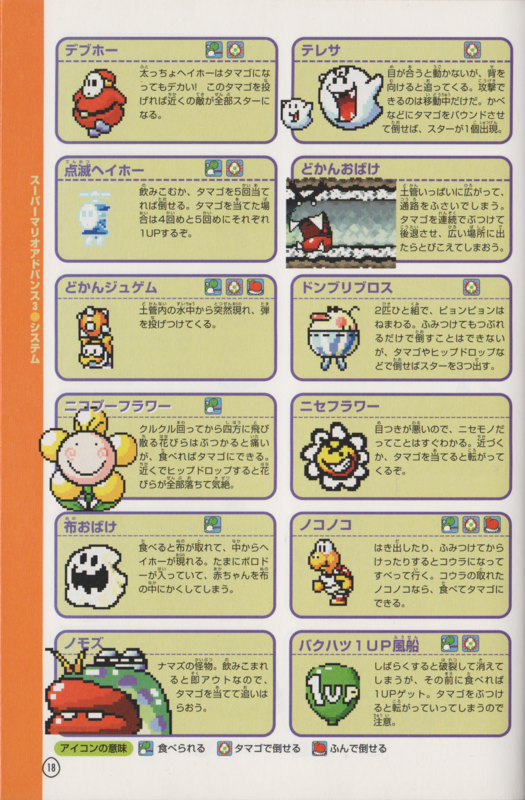 Yoshi's Island DS PRIMA Official Game Guide. Pages 40, 42. This page was last edited on April 21, 2019, at 19:13.